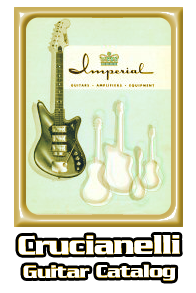 Crucianelli was a 1960's Italian guitar manufacturer. Their "Viola" is very VOX-like in many ways with its own very distinct refined-sound. 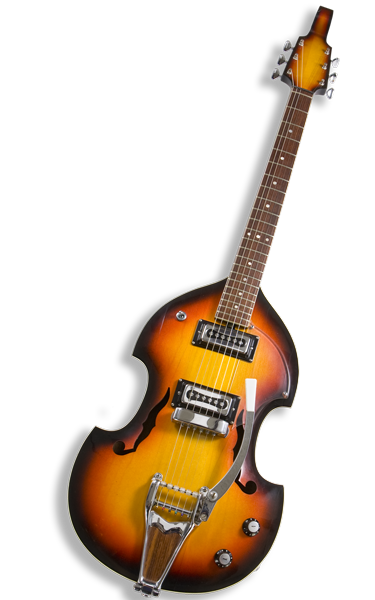 It's sculpted like a fine hand-crafted vintage violin with 20 coats of lacquer. 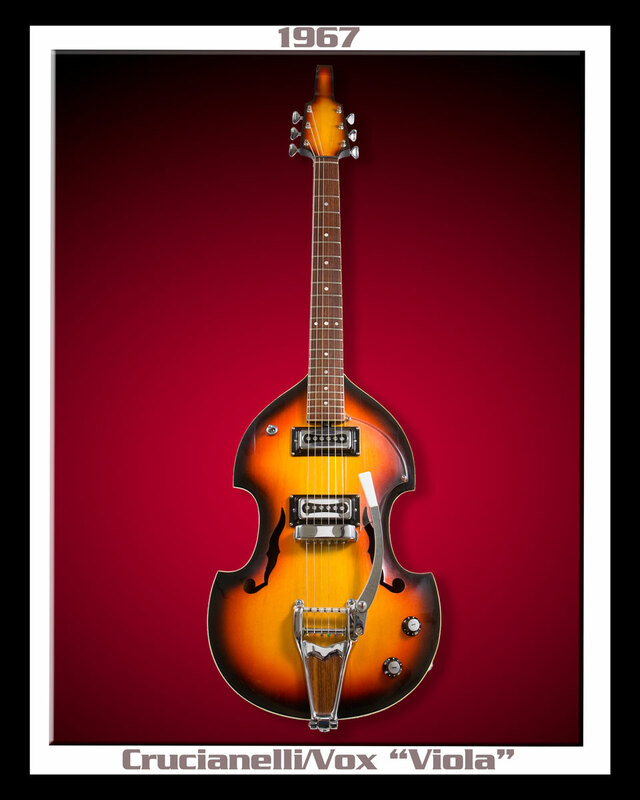 It also features highly-flamed mahogany sides and back with an ebony fretboard on high-quality wood. The '67 Crucianelli is fast and smooth. The pick-ups tend to go into overload which is great for Blues & Rock... plus it's incredibly comfortable. Crucianelli focused on semi-acoustics while EKO focused on acoustics and solidbodies. Technical contributions from both were found on certain Vox (and even EKO/Crucianelli) models. 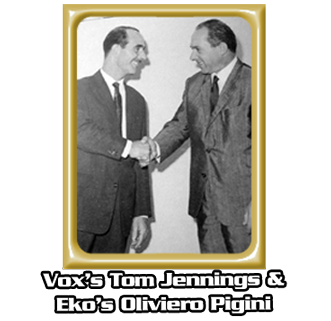 Olivieri Pigini planned a merger of both companies' guitar operations but his sudden death in 1967 didn't allow this union to go forward.